Dr Michelle Henley from the elephant conservation group Elephants Alive refers to Africa’s largest mammal as an “umbrella species”. But what does this mean exactly and why is the collaring and tracking of ellies so valuable to both large trees and other creatures? Wild talked to Michelle to find out more. What is transboundary elephant research all about? Our research, which is 20 years in the making, contributes towards the long-term survival of the African elephant, thereby maintaining the vital diversity of our world. If elephants are to survive, we need scientific knowledge and an intimate understanding of their movements and needs. We deploy cutting-edge satellite collars and study individually identified elephants to better understand how safety and social benefits, other than nutritional needs, drive elephant movements. 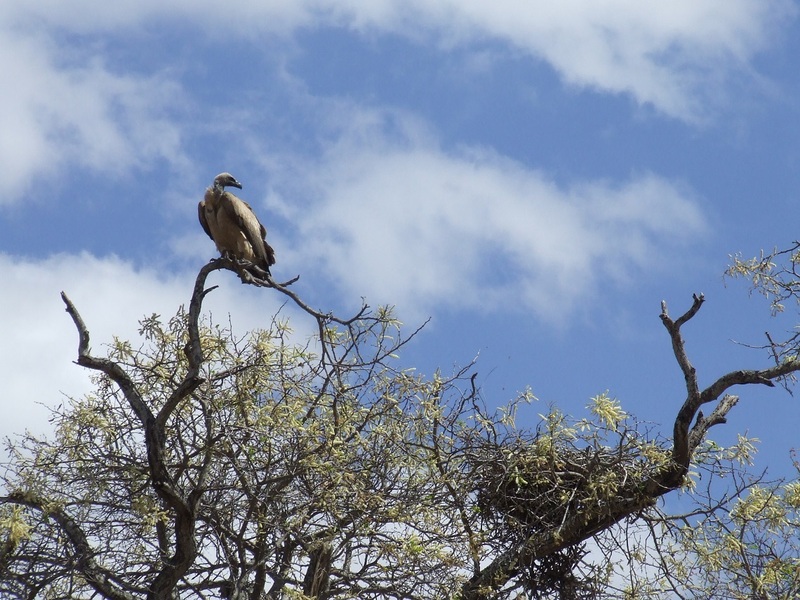 Elephants Alive works with other organisations to counteract poaching, and aids in the preservation of other species, particularly trees, birds and bees. We monitor over 3,000 large trees for elephant impact and the survival of endangered birds that use large trees as nesting sites. Why is the tracking of elephants, specifically in the Kruger National Park, of such importance? 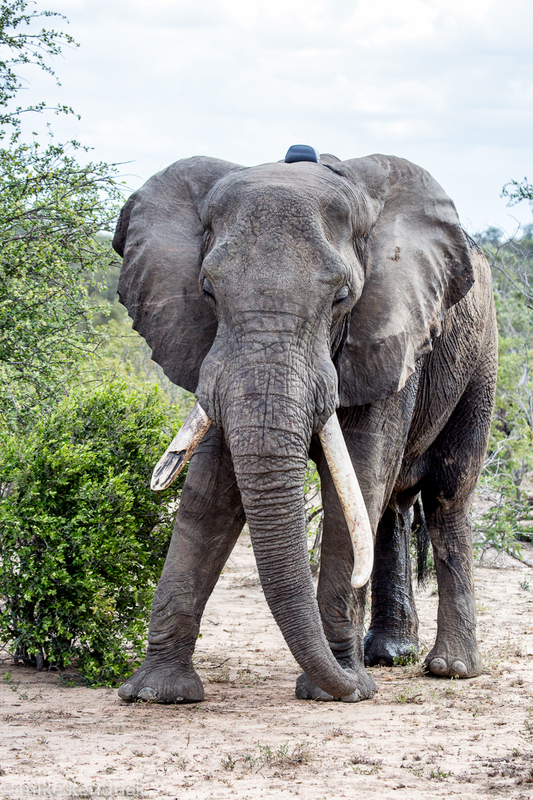 Tracking elephants in the Greater Kruger Park and in the Kruger National Park itself is of importance for two reasons. Firstly, with an elephant population of just over 17,000, Kruger has one of the few expanding populations left in Africa. It is important to know how elephants disperse from core conservation areas such as Kruger into peripheral areas. If one is concerned about the impact that elephants have on vegetation, one needs to know where they disperse to and how long they take to return to localised impacted areas. 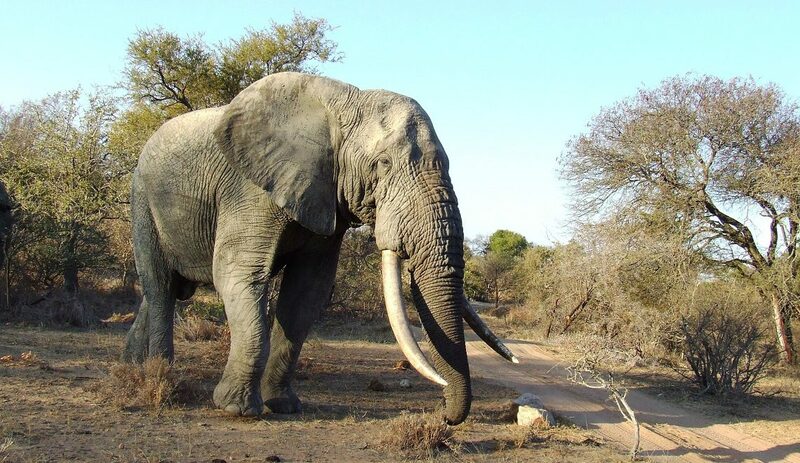 The second has to do with the recent upsurge in poaching of elephants within Kruger. We need to begin to understand how elephants try to avoid conflict with humans and maintain a stronger presence in safe areas. If we get to understand the fear landscapes that elephants are subjected to, we can better protect them and understand their changes in density over time. How does one identify an elephant? We make detailed drawings of their ear patterns and outlines, carefully recording any features that would make the animal unique – be it a nick, a tear, a hole or even a prominent vein in the ear. We also look at warts or any other features on the body which would help us recognise the individual over time. Will 2017 be a better year for the African elephant? This year started off well with China’s promise to implement the end of domestic trade in ivory. As we are primarily dealing with human greed, ivory poaching will remain rife in areas with little control or deterrents and while there is a market for the product. It is encouraging that China has realised this and is taking active steps to try and control the markets. There are other countries that also need to follow this example for us to begin to make a difference. Culling represents only one way in which large trees can possibly be protected. However, the past has shown us that despite culling, large trees were still lost to the system. We now know that it is a complex system and not a simple linear relationship between elephant numbers and tree survival rates. The presence of large trees is influenced by a variety of factors, including seedling recruitment rates, fire burning policies and insect attack following bark stripping. Add to this mix of uncertainty wherein management needs to operate the effect of climate change and you will understand how intricate any decision-making process can be. Tracking elephants helps us to understand how widely they disperse from localised impacted patches when the rains come. Culling tends to treat the symptom of large tree loss and not the underlying causes. We have shown that by other approaches we can markedly increase the survival rate of large trees. We have used wire-net protection around the stem of trees favoured by elephants and the presence of honeybees to great effect. Manipulating the environment by closing artificial waterholes to influence how elephants spread themselves across the landscape, represents another effective measure to control the encounter rate of elephants with large trees within specific areas. 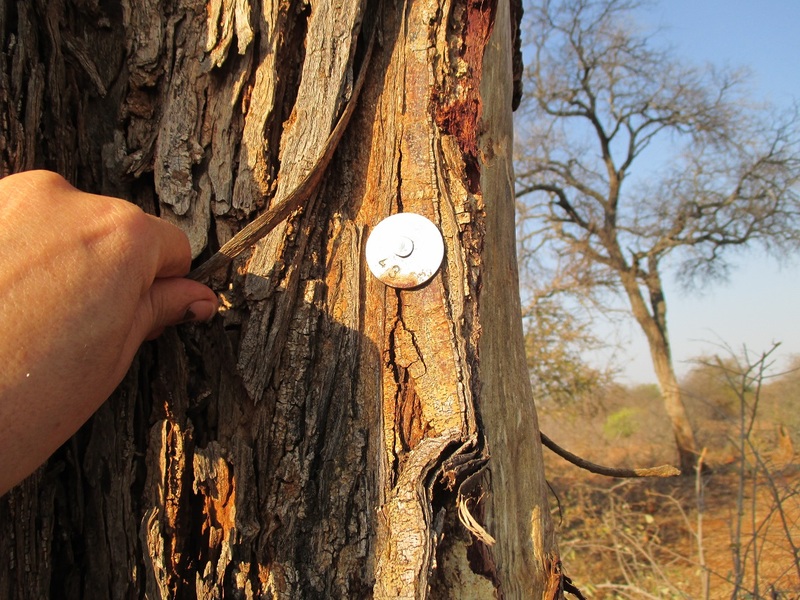 SANParks has already gone a long way to use this to protect large trees in the long run. What does elephant collaring entail? 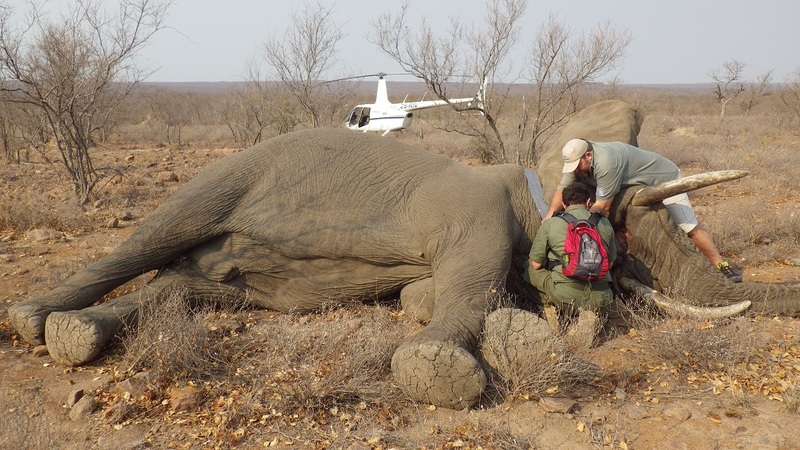 Collaring elephants requires an experienced team of people: a wildlife veterinarian qualified to handle the potentially lethal drug used to put the elephant to sleep, a wildlife pilot who knows just how to get the vet with his dart gun within range of the selected elephants, and a ground team. Our ground team usually consists of the researchers required to fit the collar and collect data from the sleeping giant – for example, blood for DNA samples and tail hairs for carbon isotope analysis to study short-term dietary changes. A small team of people are also required to ensure the safety of the operation as it can be dangerous especially when working with family units of elephants. Once an elephant is darted from a helicopter, it takes about 10 minutes to fall asleep. The ground team moves in to fit the collar and collect data. After about 30 minutes a drug reversal is administered while the team moves to safety. Within five minutes the elephant is usually back onto its feet. 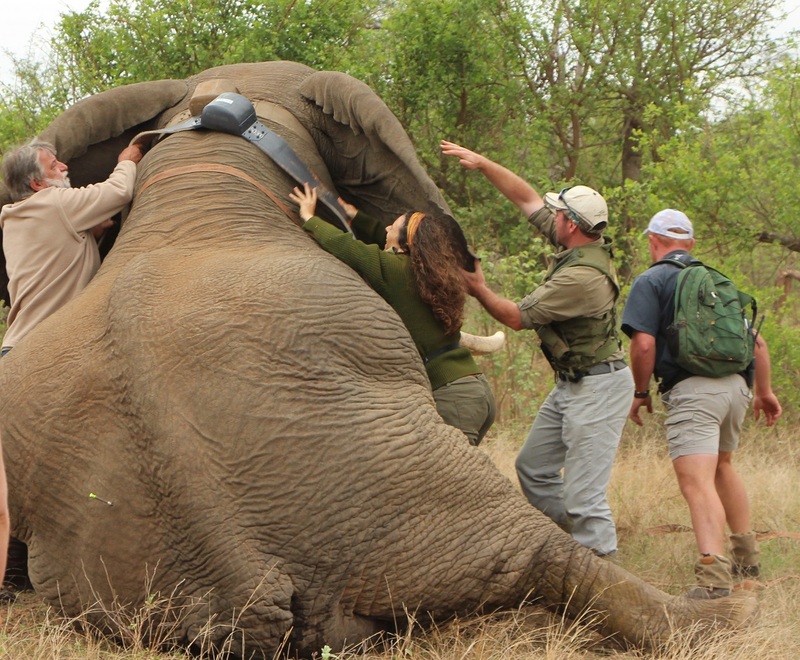 Elephant collaring allows us to become spectators to the elephant’s day to day decisions. Why should we protect the African elephant? 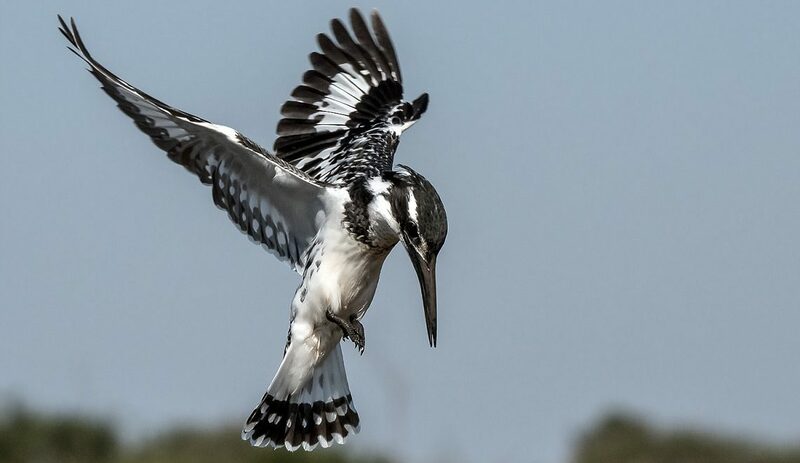 On a philosophical level, if we fail to protect the largest living land mammal, we should be worried about our abilities to protect any of the smaller and less noticeable components of our beautifully rich biodiverse country. I am in awe of the scale at which these animals need to move. We have had a young collared bull with a home range of over 11,000km². Elephants are umbrella species. If you protect them you automatically protect numerous smaller species simply because of the huge ranges over which elephants need to roam. They are valuable seed dispersers – a recent MSc student, Katherine Bunney, affiliated to Elephants Alive, proved that bulls can disperse large fruits up to 65km from the source. Elephants are path finders and makers. They help us charter areas that can benefit other species and link conservation areas along corridors of least resistance with man. Elephants are constant gardeners and ecosystem engineers. They carry nutrients in the form of their dung against the gradient to fertilise the uplands, and they change the vegetation height to make it more accessible to smaller herbivores. Importantly for the times we are living in, elephants are social role models of how we should care for each other. Elephants adore the young and revere the old. We have a lot to learn from them while our society is bombarded with reports of child abuse and neglected old people dying in old age homes. I believe they are here to teach us something and we should rise to the challenge. 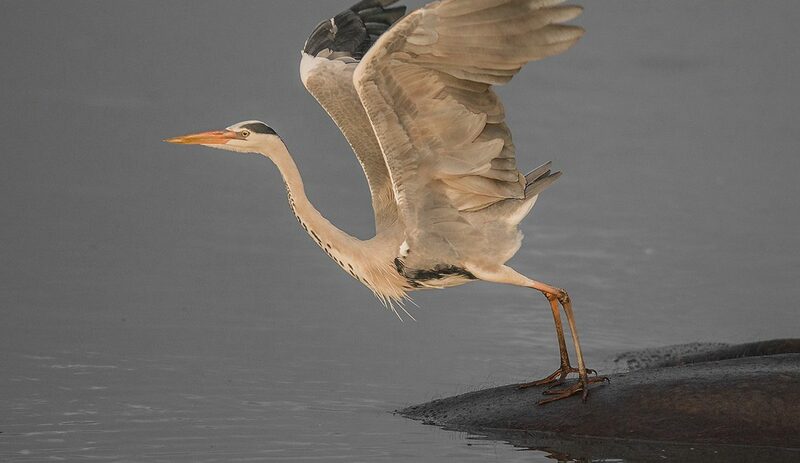 Nice photos & interesting articles. 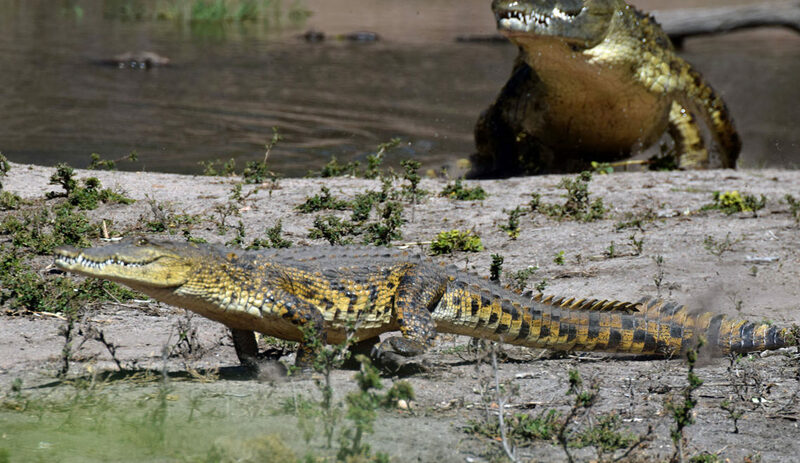 We were visitors to the Kruger Park just before the resent rains and it was sad to see the negative impact that the drought had on the areas of Skukuza and Crocodile Bridge. The local news reported that some rain had fallen there, which is good news. I was very disheartened with the habitat destruction by the elephants, specifically on the trees they uprooted. In areas it looked like a moon landscape. Elephants cant be protected at all cost to the environment. I am of the opinion that the are much to many elephants in the Kruger Park.